The quality management revolution has resulted in considerable trial and error as well as frustration. Here is a book that explores why many management trends don't translate into process improvement. It recommends establishing a condition of "rationality" as a guide and measure for all organizational and quality improvement efforts. 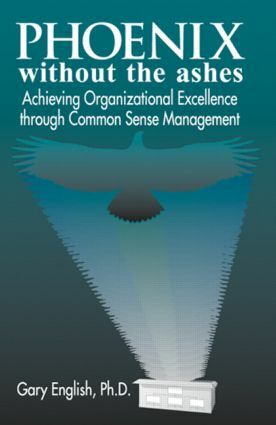 Instead of imposing radical new "breakthroughs", Phoenix Without the Ashes: Achieving Organizational Excellence Through Common Sense Management suggests an approach that fits with the normal routines and operations of an organization in a way that makes sense. Part One of this text discusses the nature of common sense, and of quality as a condition of organizational excellence. In Part Two, the elements that negatively affect quality improvement are explained from an operating management perspective. Part Three looks at the impediments to improvement set by organizational structures. Part Four discusses the relationship among leadership, motivation, and organizational excellence, and Part Five suggests a rational strategy for effective, enduring organizational improvement. Managers in every industry will benefit from the information provided in Phoenix Without the Ashes. Common Sense and Organizational Quality.